Having a liver transplant is one of the biggest operations that anyone can go through. It is reserved for people with liver disease that cannot be treated any other way. It may be that a candidate for a liver transplant has a primary liver cancer, which needs to be removed from the body before it spreads. 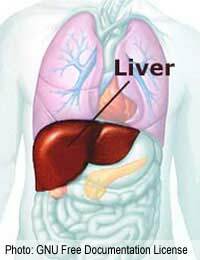 Or, it could be that the liver is ceasing to function properly because of infection such as hepatitis. If liver problems are due to alcoholism, doctors try to be very sure that the patient is clear of alcohol and has been through a rehabilitation program to stay away from it in the future. Once you have been told that you are on the waiting list for a liver transplant you usually do then have to wait quite a long time. Getting a good match for a liver from a donor is vital to the success of the transplant – and all donated organs are in short supply. Your usual treatment will continue during this waiting period, and people are advised to stay as healthy as possible, with a healthy diet, plenty of fluids (no alcohol) and gentle exercise if they can manage it. People who become very ill, or who are in danger of their cancer spreading may be given priority but doctors and administrators try to make the system as fair as possible. There is no way of telling when a donor liver will be available and you will get no notice of the call to come to hospital. You will be prepared quickly, but be prepared for disappointment as sometimes the liver is not in a good enough condition. This is a great frustration but there is nothing that can be done about it and the medical team cannot make sure before they get a potential recipient ready. If all goes well, and the match is OK and the donor liver is OK, you will then be prepared for surgery and have a round of pre-surgery tests to make sure everything will go as well as possible. When you are called with the news of a potential liver, it is important that you don’t eat or drink anything but the operation will go ahead when the liver is ready, even if it is before 12 hours since your last meal. The liver transplant is actually three operations, all of which are complicated. The first is to remove the liver from the donor, the second is to remove your disease liver and the third is to transplant the donor liver into your body. The whole surgery takes about 10 hours and then you are transferred to the intensive care unit. It is common for a liver transplant recipient to be kept sedated or even unconscious for a few days, with all of the functions of the body being monitored carefully. Breathing is supported with a ventilator and you will be told that when you wake up, you will probably have a breathing tube in place. When your own breathing is strong enough this will be removed, but you will still be hooked up to lots of other tubes and monitoring equipment. For the first few days after the liver transplant, patients need to stay in the intensive care unit. A variety of different drugs are used to damp down the immune system to prevent you rejecting the liver, and also to make it less likely that you will get an infection. You will also be given painkillers to help you deal with the pain, including epidurals. Once you are stable, and the medical team thinks you are ready, you will move to the high dependency unit for about 3 weeks. Here you will start to get out of bed and into a chair, and then build up your strength so that you can eventually walk about and start to wash and do a few normal activities. Visitors are allowed during this stage, but it is best to keep it to close family until you feel stronger. After three weeks, if there are no problems with infection or rejection, most liver transplant patients are allowed home to start the long process of recovery. After your transplant, you will need to take anti-rejection medicines and receive regular monitoring for the rest of your life. Many people survive for many years with a new liver, and techniques are improving all the time. Careful living is necessary – but people with new livers appreciate their second chance and enjoy their extra time. How Successful Are Heart-Lung Transplants?